www.uriganddice.com IAMT // Bush Records // Natura Viva booking: booking@stilevent.de Kai Urig & Julius Dice - A combination of Frankfurt underground techno & techhouse from Berlin city. The two boys met for the first time in January 2011 when Julius publishes his first musical production "Big Town" on Kai's music label MyCore Records. In the first months the relationship between both was purely professional, but further developed into a close friendship. 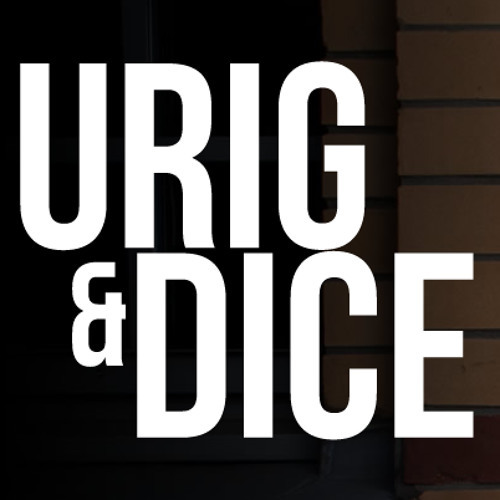 In order to insecure the music scene together, 2013 followed the only logical step: Combining friendship and passion with each other and to start the new common project “Urig & Dice”. Main focus of the project is connecting Julius' typical Berlin/Ibiza techhouse sound with the straight Franfurt techno beats of Kai and further to create their own unique sound. "We don’t want to produce only repetitive, simple and boring techno sound. It's very important for us, that we include a big area of genres. This is the reason too, why we‘ve already produced a big variety of techhouse and techno productions. We try to combine our two personalities and different music tastes, to connect this in each of our tracks.” - Urig & Dice This principle also applies to the live sets of the two guys. Both produce not only variable, they can also play everything from hard techno to groovy techhouse Ibiza sounds. Furthermore, both lead their own music labels "Ausnahmezustand, Zelos Deep Recordings and MyCore Records", that publish everything from Techno to Deephouse music. ------------------------------------------------------------ booking contact: booking@stilevent.de general contact: info@uriganddice.com remix enquiries: info@uriganddice.com Label History: I AM Techno, Bush Records, Natura Viva, Gate Null, Human Garden, Decide, Renesanz, Binary404, Perfekt Groove, Ausnahmezustand, and many more. Artists that have remixed us: Lützenkirchen, Konstantin Yoodza, Daniele Petronelli, Andrea Roma, Matt Minimal, NHB, The YellowHeads, Lowkey & Kardinal, Alen Milivojevic, and many more. We are getting supported by: UMEK, The Advent, The YellowHeads, Dr. Motte, Tom Laws, Nicole Moudaber, Steve Mulder, Tesla, Carl Cox and many more.